United Nations Framework Convention on Climate Change (UNFCCC) Executive Secretary, Christina Figueres has stated that there needs to be more coordination between climate change experts and people connected with the real economy to bring finance into adaptation. “We, the climate tribes, have developed this term (climate finance). But there are real economy people out there who will not understand this term. 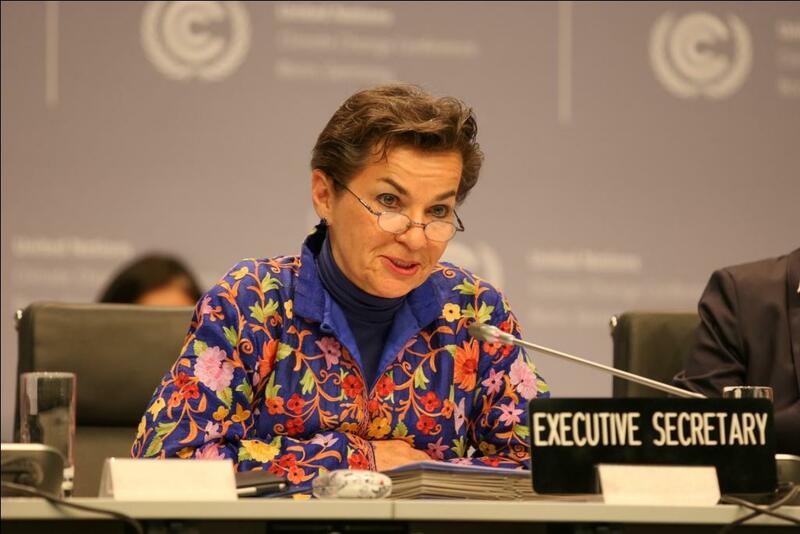 We therefore have an urgent task to build bridges between the two communities and invite them (the real economy people) to our space,” said Figueres at an in-session workshop on “Long-term climate finance in 2016” at the ongoing Bonn Climate Talks. Earlier, Figueres spoke of the importance of long-term finance “as a key to the implementation of the Paris Agreement”. She, however, acknowledged that it was not an easy task to bring finance into adaptation measures. Barbara Buchner, Executive Director (Climate Finance) of Climate Policy Initiative, while talking about finance in adaptation, brought out that money amounting to USD 25 billion was traceable to flowing finance in adaptation. Among areas in adaptation, water and waste management attracted half of adaptation finance flows. She also recognised that “money is out there for adaptation but there are issues of policy gaps, knowledge gaps and viability and risk coverage gaps”. She also highlighted that there was apparent inability to understand and incorporate climate risks in to investments or financing decision-making in developing countries. Additionally, there also exists inadequate access to finance or uncertainties about the returns of investments and risk aversion. There would be a high level ministerial dialogue at CoP 22 at Marrakesh on adaptation finance. The current Bonn climate talks will end on May 26.